All of our professional property valuations are provided free of charge and will always be carried out by a valuer with at least a decade of experience. This is an extremely important first step for you as you look to realise your onward plans with confidence and we will ensure that your property’s valuation is both accurate and achievable, supported by local housing market information. In many circumstances, as property consultants, we will take this opportunity at first contact to advise you of any factors that can assist the saleability of your home which will attribute to realising the best possible price on the open market within reasonable time. Valuations are always accompanied by considered comparable evidence of similar properties that have recently sold. These visits usually run thirty minutes to over an hour, depending on the size and complexity of the property we will be inspecting. Research shows that 93% of buyers begin their search for property online, giving every estate agent potential access to the majority of buyers, from many possible geographic locations. It’s now become imperative that the information provided in your property’s advertisement is informative and of the highest quality. Each property that we advertise will have consistently thoughtful photography produced with professional equipment and developed with specialised software by our trained teams. Floorplans are incredibly important, especially if that discerning buyer is making a long round trip to visit your property, therefore these are provided as a standard service. Standing out from the crowd in a fast paced, crowded environment is always a challenge but due to our attention to detail we are able to influence significant online traffic to our client’s property listings. Rightmove provide us with reports that detail we have an above average ‘click-through-rate’ and we are consistently in the top two agents for new properties coming to the market in our unique catchment area. In addition to this, we are members of team a national association of independently owned Estate Agents who all use a cutting-edge cloud based computer system to share all of their property details with each other throughout London and the UK. Locally we have an unrivalled network of offices in Manningtree, Thorpe-le-Soken, Frinton-on-Sea, Walton on the Naze, Clacton-on-Sea Holland on Sea, Dovercourt and Coggeshall. Each and every one of these offices will have access to your property information and will list your property on their own bespoke website. We will work extremely hard to match your property to the right potential buyers and provide informative feedback after each and every viewing. Our aim is to make the whole process as transparent and enjoyable as possible. From us you will receive detailed information on how many potential parties our advertisement is reaching, what they like and (just as importantly) what they do not like. Negotiating a sale on your behalf is at the heart of what we do but truth be told, this juncture is only really half of the journey we will lead you on. The average house sale takes about three months to complete and in that time there can be many unforeseen delays and frustrations which can sometimes be out of your control. It is our job to influence this process to your benefit and we negotiate this path both skilfully and efficiently. Clients have advised us in the past that they did not realise the full value of their estate agent until things did not go according to plan. When things do go wrong, we will be the rock to put matters back on track or explore immediate options that will result in the outcome you need. We have an experienced team available to accompany viewings every day of the week. If an appointment is required outside of office hours we will do everything that we can to accommodate as we are committed to exploring every single enquiry. Our service can be very property specific at times. If a client needs us to project manage a refurbishment for them, we have the experience and network of contractors to fulfil their needs. If a property has planning or boundary problems we have close relationships with solicitors, town planners, architects and surveyors to move matters forward so that the issue is mitigated to the point where the property can be sold. If a buyer is concerned with a recent survey report, we have the skill to keep them calm whilst the issues are investigated, quantified and resolved. We do our utmost not to leave anything to chance and to keep you informed you every step of the way. Energy Performance Certificates (EPC’s) and conveyancing services are provided by TEAM Property Services and mortgage advice is given by our independent and across the market mortgage broker. Should you need quotes for removals, naturally, we have that covered too. 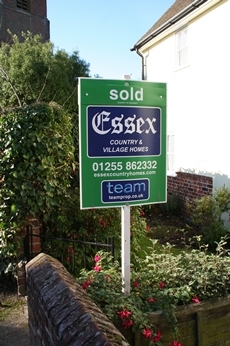 All quotes are available by request via our sales and lettings teams.